I wrote this piece for the Dallas Morning News. It was published on Oct. 7, 2005. 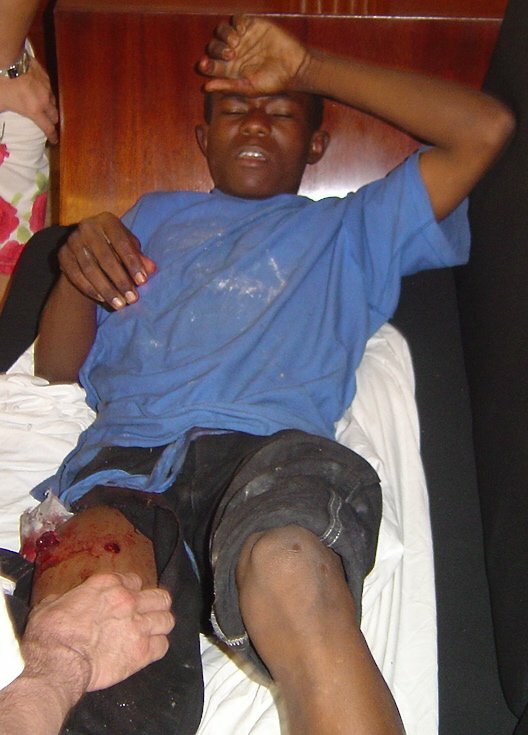 Two years later, his battered corpse was unceremoniously dumped on a Port-au-Prince street, his wrists handcuffed and broken, his back riddled with bullet wounds. Alain Roche, 37, said he misses his brother, Jacques, 44, a popular television host and poet who was murdered in July, five days after being kidnapped. “My brother was in the wrong place at the wrong time. It was an accident,” said Mr. Roche, unwilling to dig deeper. 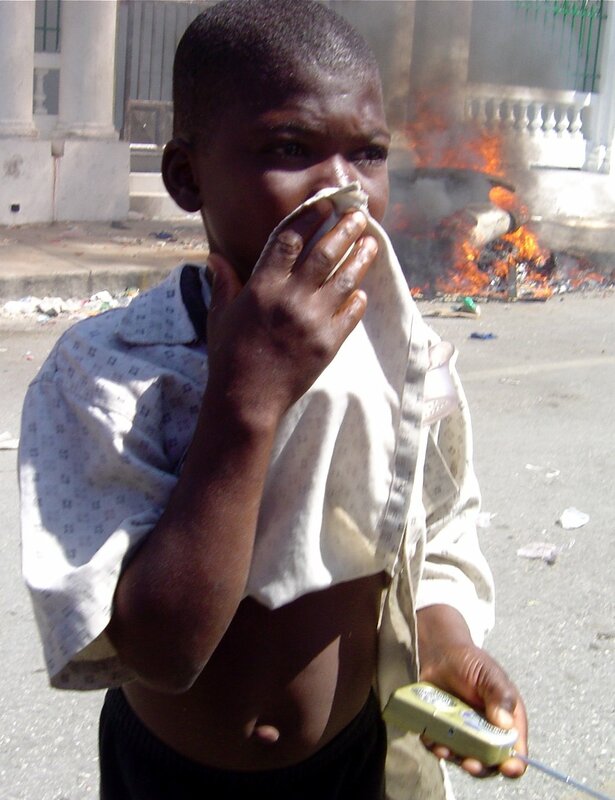 As many as 1,000 Haitians have been killed in political violence since former President Jean-Bertrand Aristide was forced from power in February 2004, according to estimates by human rights and media organizations. Many of the deaths remain unexplained long after the bodies reach the morgue. Complicating matters, some killings have become entangled in Haiti’s 2005 presidential race. They are being used by political activists to exact revenge, smear foes or inflame voters. They are one of the little-known but often effective tools of Haitian politics. Mr. Roche was an independent sort who tried not to take sides, his family says. But now, critics say, his tragic death is being used to keep a Catholic priest out of the upcoming presidential elections. Rev. Gerard Jean-Juste, an Aristide ally, is in jail, accused in the Roche murder, even though he was in Florida when it occurred. Elections officials refuse to accept his candidacy because he hasn’t registered in person. On Sept. 13, hundreds of Mr. Jean-Juste’s supporters tried marching to elections offices in Port-au-Prince, but U.N. peacekeepers and Haitian police stopped them. Kevin Pina, an American journalist based in Haiti, says such episodes underscore the desperate need for a working judicial system. And he considers himself among the victims. Mr. Pina was arrested Sept. 9 after going to Mr. Jean-Juste’s church to watch police search his belongings. He was freed Sept. 12 only after U.S. officials and others pressured the Haitian government. Haiti’s compromised judicial system makes it easy for the government to punish those seen as a threat, said James Foley, the former American ambassador to Haiti. A day earlier, Haitian authorities had freed Louis Jodel Chamblain, a notorious paramilitary leader convicted for his role in numerous political murders and massacres. But they have refused to release former Prime Minister Yvon Neptune, in jail for more than a year in what the U.S. ambassador described as a political vendetta. Mr. Neptune “helped save many lives” by staying on as prime minister even as “the country was in chaos, in anarchy” after Mr. Aristide’s abrupt departure in 2004, Mr. Foley said. And his reward was getting thrown in prison unjustly, he said. Rights activists say Mr. Neptune isn’t alone. Dozens of other Aristide supporters are also being held in jail without charges, they say. Many of those lining up outside the prison in downtown Port-au-Prince say they have no idea why their loved ones are in jail. U.N. troops arrested Maxime Desir, 19, on July 25. Worse than the jailings are the politically motivated killings, say human rights activists, who claim that police have murdered Aristide supporters in broad daylight. In one startling incident, they say, men dressed as police and machete-wielding accomplices killed at least a half dozen people during an Aug. 21 U.S.-government-sponsored soccer game in Gran Ravin-Martissant slum as 5,000 terrified spectators sat in the stands. U.S. officials said they have asked the Haitian national police and their U.N. civilian police advisers to conduct a thorough investigation. Some analysts believe that gangs may be trying to stir up chaos in Haiti so that the elections fail. And it has been a chaotic year. The security situation hit a low this spring when four policemen were beheaded, rights activists say. Kidnappings were rampant over the summer, and U.S. officials evacuated non-essential personnel. The violence occurred despite the presence of more than 6,000 U.N. peacekeepers and 1,400 civilian police officers. Gang members use their weaponry to control vast stretches of the slums in Port-au-Prince, said André Apaid, a wealthy industrialist who opposed Mr. Aristide. Haitian and U.N. authorities must “carefully and cautiously” take control of the slums so that the gangs don’t sabotage the elections, he said. Regrettably, it will take force, he said. “You can’t kill people to the extent that it’s unacceptable,” he added. Too much killing, he said, feeds the “propaganda machine” that anti-government forces use to try to convince the world that the electoral process is unfair to the poor. “They make up stories to try to influence U.S. and Canadian lawmakers,” Mr. Apaid said. And more people should speak out against it, he said. “We support the Haitian government financially, politically and publicly, so when you see bodies rotting in the morgue, it is us letting it happen,” he said.